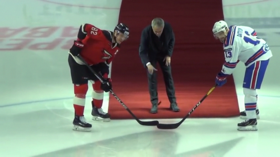 Portuguese football legend Jose Mourinho, who made a surprise appearance at a hockey game between two KHL teams in Russia, suffered an unfortunate mishap right after he symbolically dropped the puck on the ice. 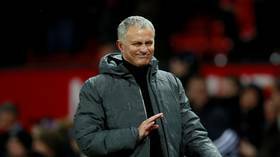 The former Manchester United boss, who has also previously coached such football giants as Real Madrid, Porto, Chelsea, and Inter Milan, was apparently unprepared to step on the slippery ice and treacherous red carpet during a symbolic appearance at Russia’s Kontinental Hockey League (KHL) game on Monday. 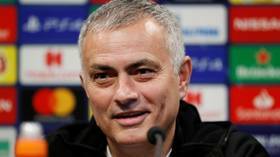 The incident took place just as Mourinho was leaving the ice rink after dropping the puck to kick off the game between Saint Petersburg’s SKA and Omsk’s Avangard. 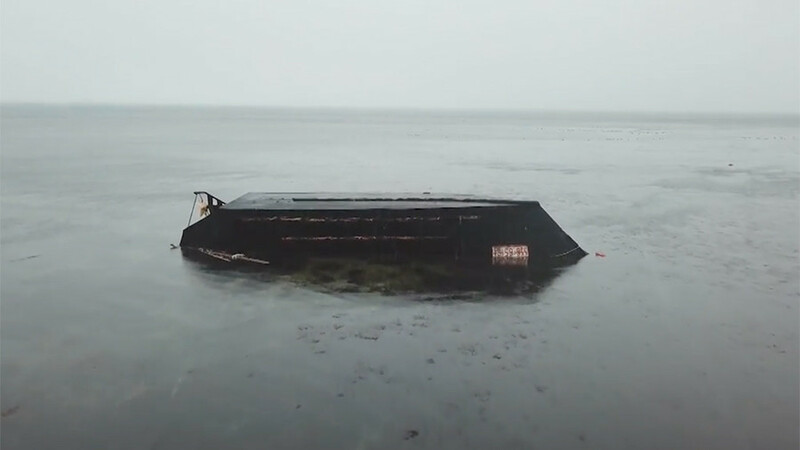 Players immediately rushed to help the legendary coach, who then walked away from the ice, all smiles, apparently having suffered no injuries.